The Gut-busting “Dangerous Bakunou Stamina-don” Donburi is HERE! Japanese cuisine is famous for its aesthetics as it is for the taste. That said, the real fun starts when you discover “B-kyu gourmet” (B級グルメ) during your travels off the beaten path. The decidedly quirky underbelly of Japanese food, “B-kyu gourmet” encompasses a variety of sins and delights enough to satisfy the foodie in you. Popular food chain “Densetsu no Sutadon-ya” (伝説のすた丼屋) announced today that it would be introducing a special menu item on 17 January. 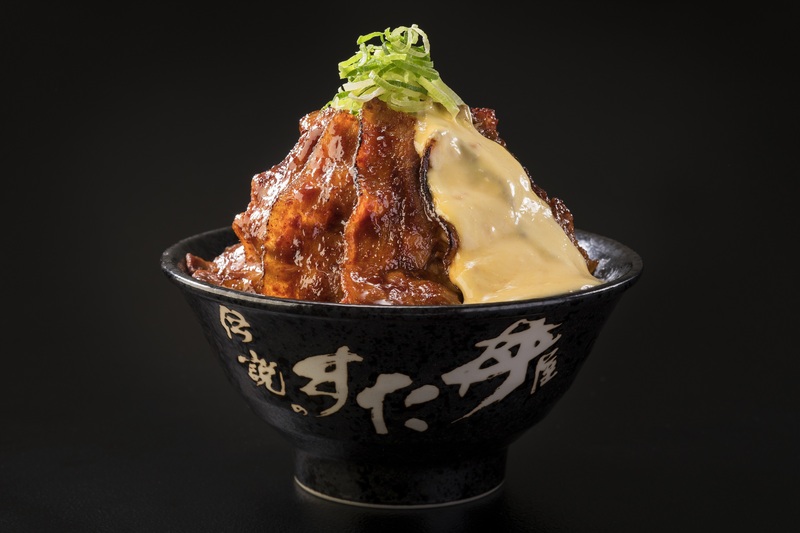 The item in question, a massive donburi bowl, is aptly named the “Dangerous Bakunou Stamina Donburi” and clocks in at a whopping 2000 calories!! The bowl is not for the faint of heart and is available at select locations at the surprisingly reasonable price of 880 JPY. The donburi in question involves three bowls of rice, topped with 100g of cabbage, on top of which there is a generous (x1.5!) helping of pork belly with garlic mayonnaise to boot! Did we mention it’s 2000 calories, the total amount for the average man in a day? !